Buy Blueborn SP 90 SUP - manometer for double stroke pumps for screwing on between pump and pipe from Blueborn at Camping Outdoor online. This manometer is perfect for use with double stroke pumps and high pressure pumps. 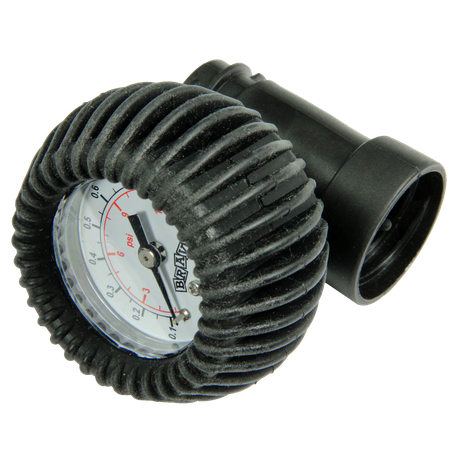 The pressure gauge reliably measures the pressure when inflating inflatable items like boats and SUPS. 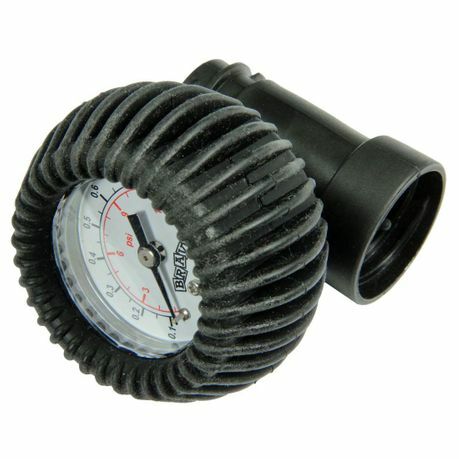 This pressure gauge is a must-have for inflatable items such as boats, inflatable tents and SUPS. The high-quality manometer is particularly shock-resistant due to the integrated safety ring. 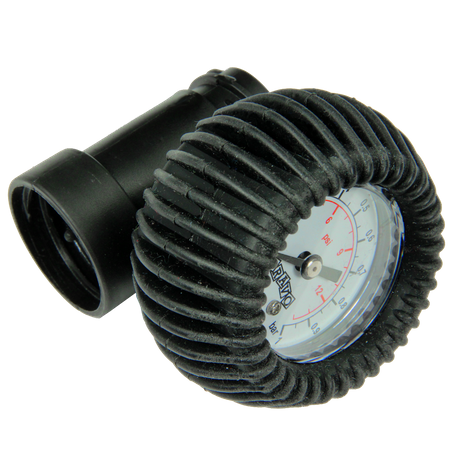 The stable screw thread of the meter is ideal for installation between pump and hose. The manometer can also be easily disconnected from the adapter and attached to the valve. Especially practical is the double measuring scale in the manometer for psi and bar in the ranges from 0.1 - 1 bar / 1 - 14 psi. The display is securely protected behind the robust plastic glass. Due to the very small size of only 7x5 cm and the weight of only 100 g you can take the manometer with you on every boat trip, every fishing trip, for rowing or kayaking, stand-up-paddling.